At Christy, we love to reward our wonderful, dedicated customers. That’s why we’ve made these fantastic ranges of bed linen exclusively available online. You won’t see them anywhere else! 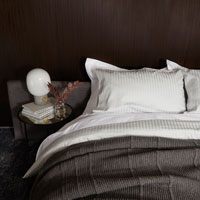 Often, finding the perfect bed linen can be crucial to securing an exceptional night’s sleep. With our wide variety of styles, colours and textures, we’re certain you’ll find a set that suits you. Keep it classic and simple with the Epoch collection or start a vintage theme with our Rustica bed linen. 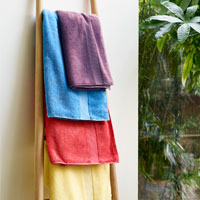 If you’re feeling truly bold, fill your room with the vibrant colours of the Truro bed linen. Browse below to view all our exclusive online offerings. All our online exclusive bed linens are woven from the highest quality cottons, with no inferior blends. Across the ranges, we feature a variety of finishes. 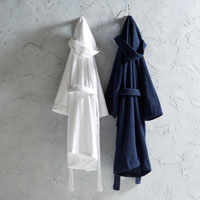 Soften the look of your bed with a vintage wash or prioritise long term durability with a cotton percale construction. We use a range of materials and techniques to introduce textured detail to our designs, allowing the patterns to truly stand out. From the understated satin stitch of the Epoch collection to the intricate yet bold crotchet trim of the Rustica bed linen, we love to add these stylish touches.